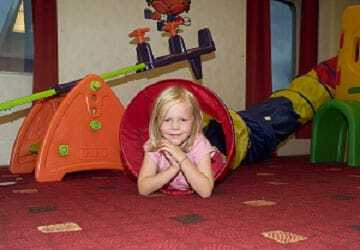 Stena Danica has excellent facilities to keep you occupied during your trip. 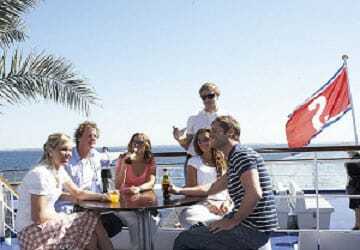 With a choice of bars and restaurants and a whole host of activities, they'll never be a dull moment on board. There really is something for everyone from sing-along nights and live music to all sorts of fun activities for children. 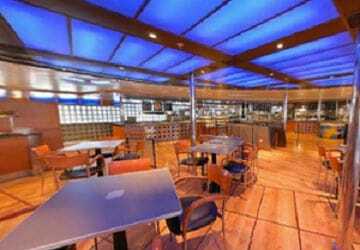 There are no cabins available onboard this ship however reserved seating is available in the Stena Plus Lounge which amongst other things includes priority boarding and disembarkation as well as complimentary fruit, coffee and snacks. It is advised to pre-book though you can upgrade onboard if availability permits. The Metropolitan serves an excellent buffet style brunch with a choice of both hot and cold drinks. 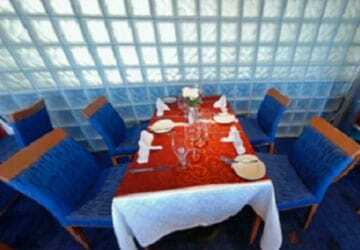 In a separate area of the Metropolitan you'll find the a la carte restaurant where you cab enjoy the wonderful view whilst having an excellent meal accompanied by a glass of wine. 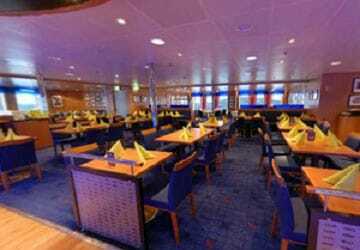 For fast food, head to Food city on deck 8 where they serve warm dishes, salads and fresh sandwiches during the crossing. Nearby you'll find traditional Danish sausages and other snacks in the Babord Bar which is open during the peak season and school holidays. At the C-View bar you can listen to live music or have a go at bingo with the entertainer. On Friday nights the C-View is transformed into a night club complete with DJ and show. 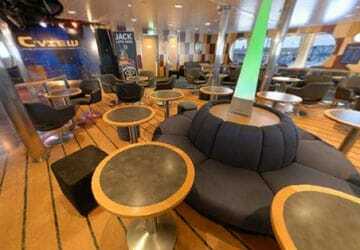 The sun deck on deck 9 is the best place to enjoy the sun during the summer period. Relaxing underneath the waving palm trees you can enjoy hot or cold beverages, grilled dishes and snacks. 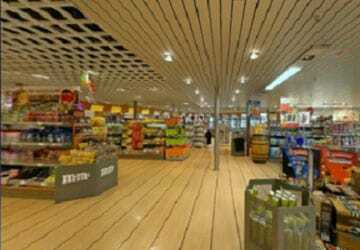 During the crossing you can shop to your heart's content in the Stena Danica on board shop where you'll find genuine bargains and a wide variety of brands, from paperbacks to the latest perfumes and sun glasses. Watch the latest films in the cinema or try your luck at the roulette and blackjack tables in the onboard casino. There are also left luggage facilities and WiFi cards card be purchased from reception. The kids play ground is right next to the Food City restaurant. Here, the children can play in the ball pit or watch a film. 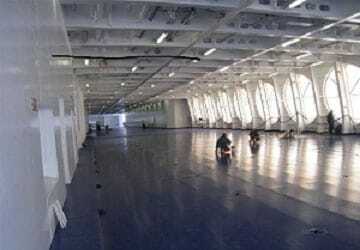 All facilities are situated on deck 7 and 8 and are accessible by lift. Passengers in wheel chairs have access to all facilities. 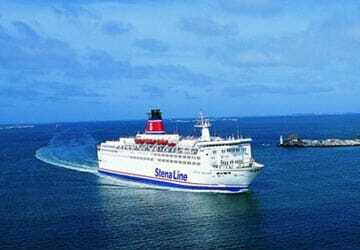 Please inform Stena Line staff at the car check in so they can tend to your needs and provide a parking space on the car deck close to the lifts. Please Note: Whilst we have taken great care in making our Stena Danica guide as accurate as possible, onboard facilities, services and entertainment may vary depending on the date and time of year that you travel, facilities mentioned may change without notification and ferry companies reserve the right to operate vessels other than those mentioned at time of booking without prior notification. Everything went as it should, comfortable trip. Our plan was to visit Denmark and Sweden, taking in the famous Oresund Bridge/tunnel, so we drove north first. 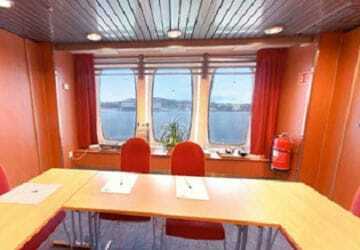 The crossing from Frederikshavn to Goteborg was easy to book on line, and the port easy to find! Excellent crossing, dead on time, nice ferry and bags of room. Plenty of outside seating protected from the wind was appreciated. A very pleasant experience all round. All good except that there were several bars on board but only one was open so long wait to get a coffee. Despite being windy it was a quiet trip. It was easy to find seats altough we were 4 people who wanted to sit together. The big shrimp sandwich was fantastic. THIS IS A GREAT FERRY AND A GREAT ROUTE IF YOU ARE COMING BACK TO ENGLAND, THE STAFF ARE GREAT AND THE PLAY AREA ON THE FERRY IS VERY GOOD, THE KIDS ENJOYED IT A LOT AND WE DID TOO. 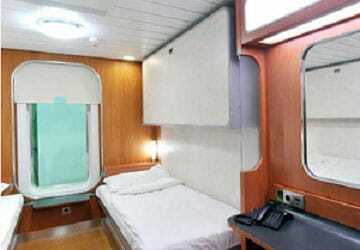 The ship was clean, crew helpful and the journey uneventful. It was a lovely trip from Denmark to Sweden. The kids were entertained with all the free games to play, and we enjoyed the beautiful summer evening on deck. Coming into Gothenburg was an amazing experience for the whole family as we enjoyed the views from the top deck - kids were fascinated about going under the bridge - the ship could just fit! "Good way to get from Sweden to Denmark"
We were in Stockholm and found it easy to go by train to Gothdenborg for several days then take the ferry to Fredrickson. Construction around the ferry terminal and our hotel which was nearby was a mess. It will be nice when it is all done. We were fascinated by the passengers who seemed to go to Denmark to buy their beer. Understand why as it was almost impossible to find a place to buy liquor in Sweden.